What action movie with a female lead am I thinking of? For the life of me I can’t remember either the name of the movie nor the name of the actress. I think she was some kind of MMA fighter turned actress/movie star. Don’t think it was Rhonda Rousey because I didn’t recognize the name of the film from her filmography in her Wikipedia entry. Pretty sure the movie came out within the last 10 years. Directed by Steven Soderbergh. With Gina Carano, Ewan McGregor, Michael Fassbender, Michael Angarano. A black ops super soldier seeks payback after she is betrayed and set up during a mission. This bit of information pleases me greatly, @rhamorim! Is this in reference to Haywire or Lady Bloodfight? This would be a reference to Haywire as I have not seen the other one yet. I realize I’m in the minority, but damn I love Haywire. 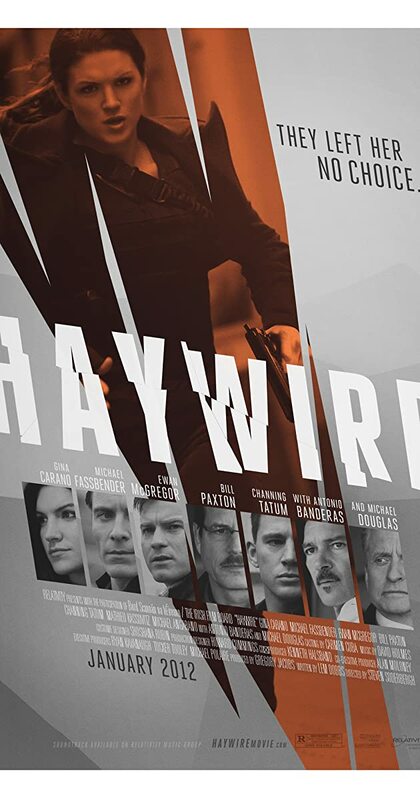 Haywire is my second-favorite Steven Soderbergh movie! Ooh ooh, is your favorite Solaris? That’s my favorite! I guess Steven Soderbergh really likes exclamation points! I’m in the minority, but damn I love Haywire . And you’ll have my axe. Haywire is terrific.